BlackRadioIsBack.com New Music: EPMD | BlackRadioIsBack.com - Official Blog of the Syndicated FuseBox Radio Broadcast! 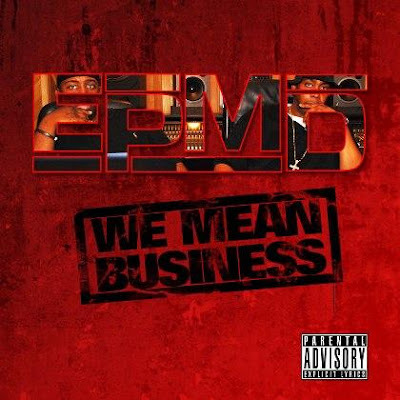 The BlackRadioIsBack.com and FuseBox Radio Broadcast family just wanted to share the sampler from the classic Long Island, NY Hip-Hop group, EPMD from their upcoming album, We Mean Business . This album will be dropping independently through their own Def Squad/Hit Squad label (via Unique Distribution) on December 9, 2008. From my personal opinion, We Mean Business (EPMD's 7th album in their career and the first studio album they're done in over 10 years) sounds like it's going to be a pretty hot piece of work. After seeing the reunited MC and producer duo of Erick Sermon and PMD perform live doing both old school and a few samples from We Mean Business from in New York City a few months back at the Black August Concert, the brothers of EPMD look like they are definitely serious about making quality Hip-Hop music happen for the masses to cop. Give EPMD's 8 minute We Mean Business mixed album sampler a listen and cop the download of it by clicking here.